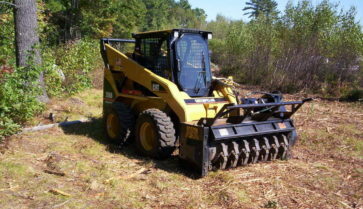 John Brown of Weare, NH has worked in land clearing and vegetation management since the 1950’s. 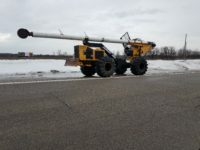 His first contracts were transmission line clearing for local utilities (power lines) using his excavator mulcher, starting in New Hampshire, then on to Maine, Connecticut, Vermont, and New York, as his reputation for quality work and high productivity grew. In the 1970’s, his company diversified into high volume herbicide applications for electric and pipeline ROW’s. 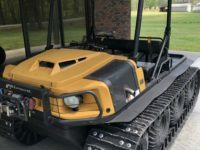 On selling this business in the early – mid 1980’s, he focused on commercial land clearing, and turned his attention to inventing the Brontosaurus land clearing system. John foresaw the decline in herbicide use, especially in the Northeast. 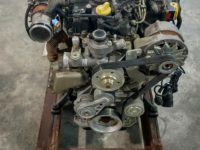 His goal was to develop a machine that would perform safely and satisfactorily year round in the varied terrain and weather conditions of central New England. The Brontosaurus land clearing mulching head met this challenge. As word spread, John patented his system and set up a subsidiary, J.C.B. 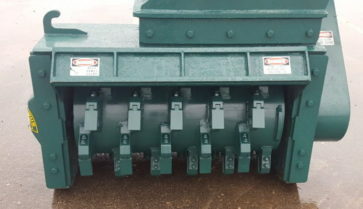 Leasing, to manufacture and market the Bronto forestry and brush clearing attachment throughout North America and beyond. 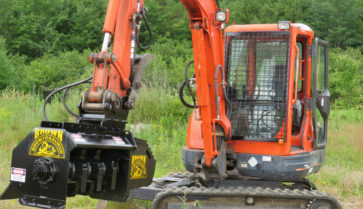 Presently, John Brown & Sons operates over 30 Brontosaurus Mowers and other land clearing equipment in central New England as well as central and south Florida. They also clear and/or maintain thousands of acres per year. In 2017 Brown Brontosaurus teamed up with Integrity Truck & Equipment as their premier dealership selling Brown’s entire line including their excavator mulcher. Located in the Midwest, Integrity Truck & Equipment’s mission is simple: To be the leading equipment sales company based on integrity from start-to-sale focusing on courteous and honest dealings.